There is a distinct difference between “Beef Back Ribs” and “Beef Short Ribs” – The Back Rib runs along the side of the Ribeye Steak and is usually carved 6 to 8-inches long and has very little meat except what is found between the bones. Of course, that’s why there is so little meat left on these bones, the tender flavorful meat is carved onto the boneless Ribeye Steak. The Short Rib is cut along the Flank Steak and Brisket, is generally 3 to 5-inches in length and has a nice thick marbled piece of meat along one side of the bone, which makes them perfect for braising. 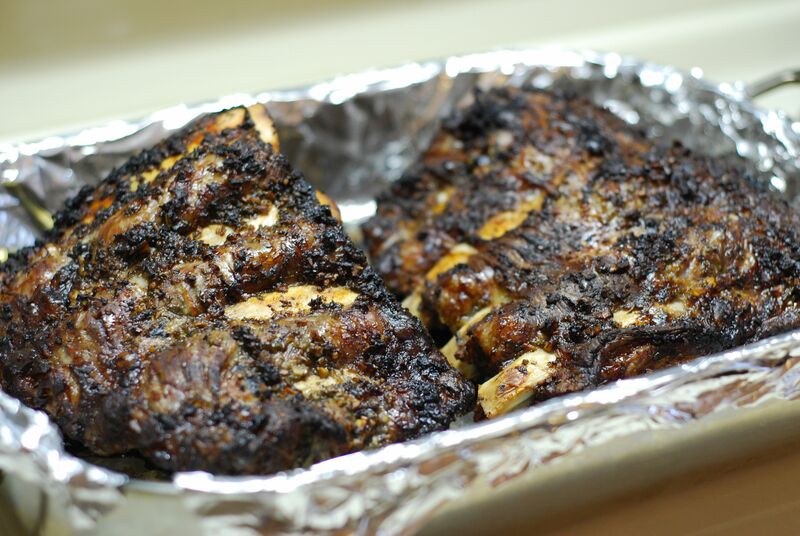 You can bake or grill the ribs for this recipe. I chose to cook them for a shorter time than some recipes you may find because I found the longer cooking time dried them out or over crisped the edges and made them too chewy. With the shorter cooking time the meat will still stick onto the bones a little but the meat will still be tender and full of flavor. 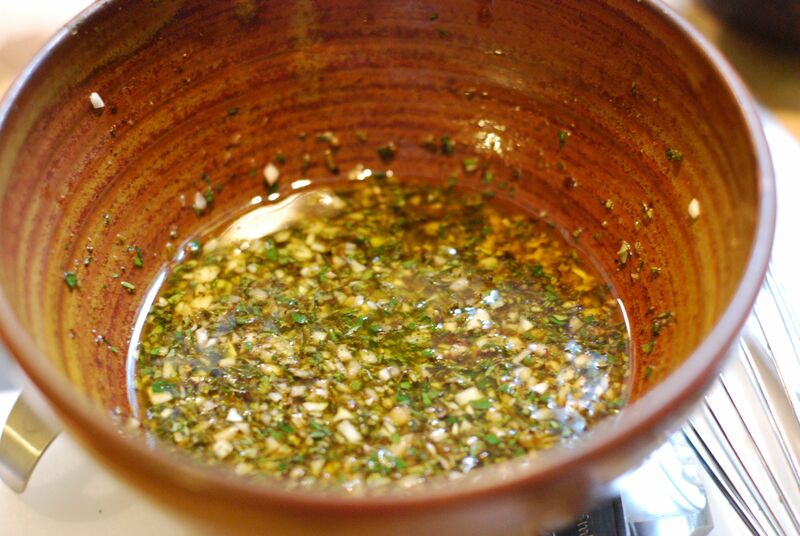 In a bowl, combine garlic, rosemary, thyme, sage, oregano, lime juice, Worcestershire Sauce, Port Wine, black pepper, salt, and olive oil. Stir or whisk until combined evenly. 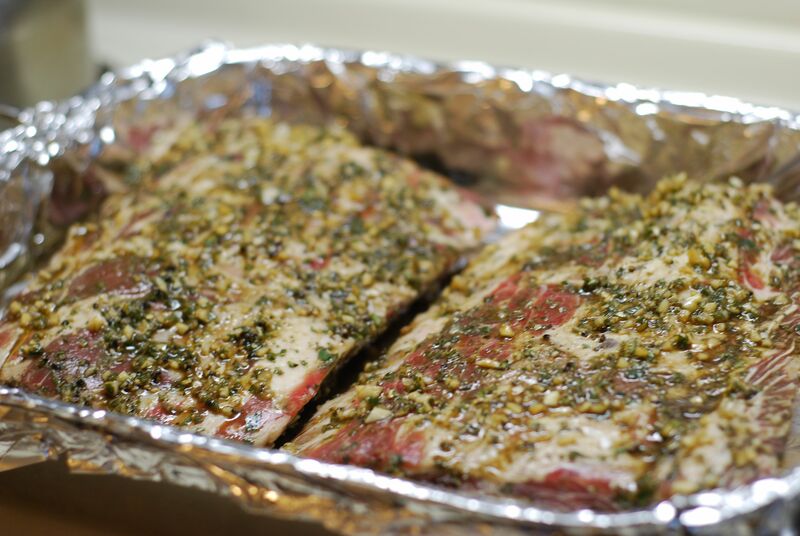 Rub the marinade all over ribs and place in a platter or Ziplock bag to marinate overnight or for at least six hours. OVEN METHOD: Preheat oven to 325° and line a baking pan with aluminum foil. Place ribs in a single layer on pan. Pour any residual liquid from platter or Ziplock bag onto ribs. Bake for 1 hour and 15 minutes. The ribs should be well browned but not burnt and the meat will pull away from ends of the bone. Remove the pan from the oven and cover with a piece of aluminum foil for 15-30 minutes. This will soften the dry ends of the ribs and help the meat retain the juices. Serve while still warm. GRILL METHOD (using a gas grill): Heat the grill to 450°. Place the ribs on the grill and lower the burners to low, maintaining a temperature of 350° or slightly lower. Cook for 20 minutes with the lid closed, being careful not to over char the ribs. Flip the ribs over and cook for another 20 minutes. Flip the ribs a third time and cook another 20 minutes (the lid should be closed throughout the cooking time). Total cooking time 1 hour. 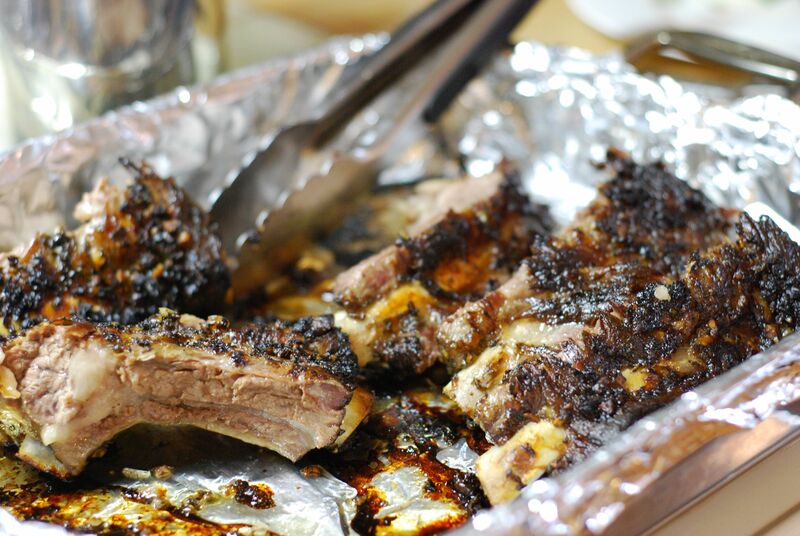 Remove the ribs to a platter and cover with a piece of aluminum foil for 15-30 minutes. 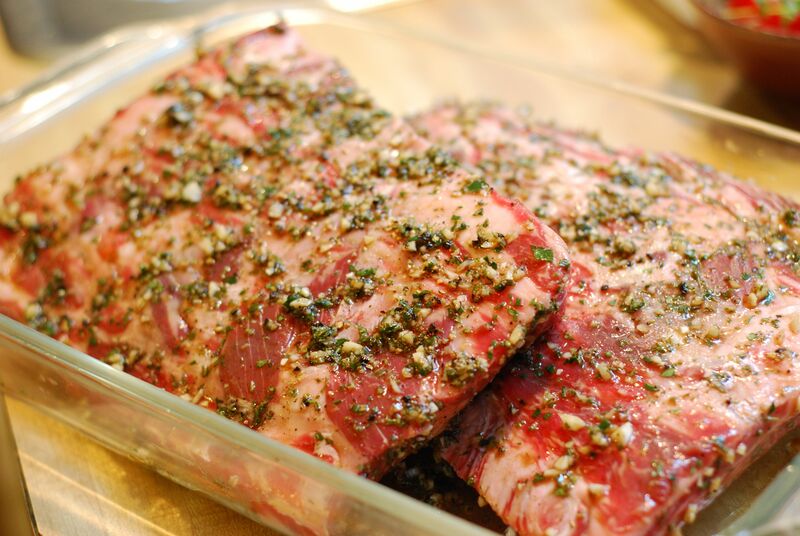 You are currently reading Beef Back Ribs with Herb Marinade at Hestina's Kardia.